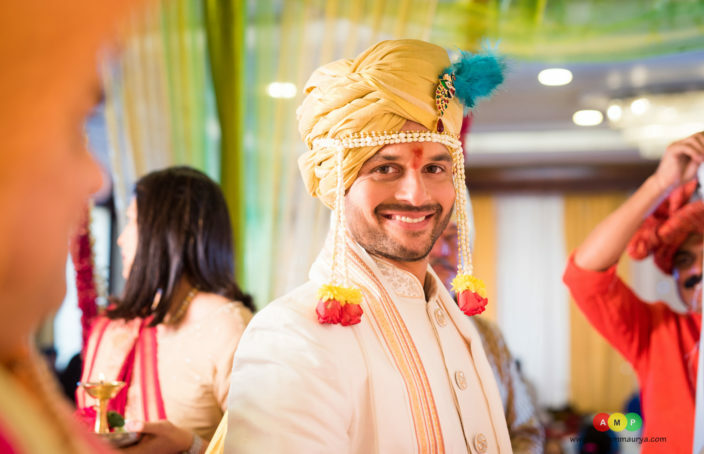 Which recent Celebrity Wedding had a sweet, real life love story? 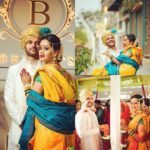 TV stars Mughdha & Ravish – the lead couple of ‘Satrangi Sasural’ got caught in a classic case of real life imitating Reel Life! 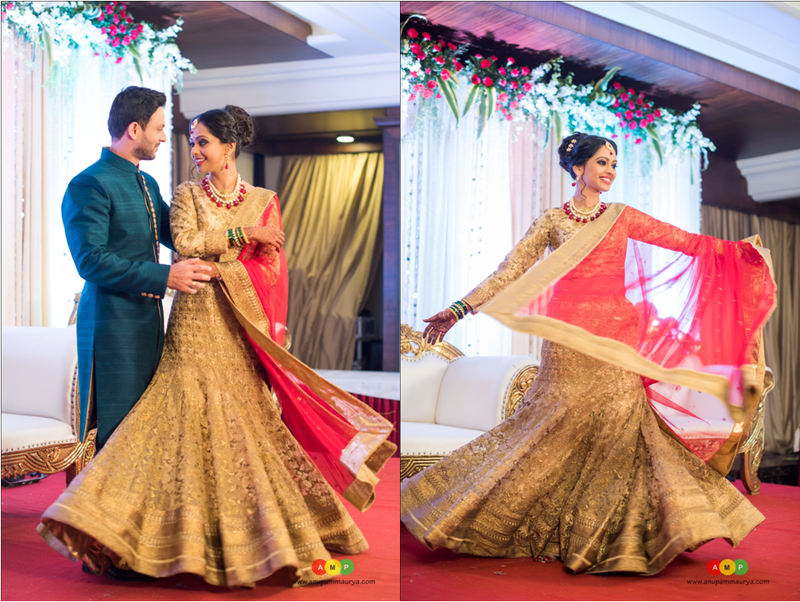 Mugdha & her Pretty Mehndi! 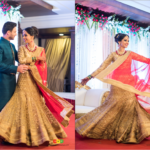 Mugdha All ready for the Varmala! 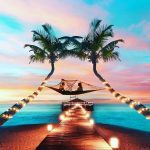 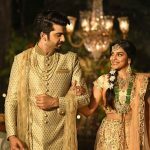 Celebrity Wedding – Reel Couple, Real Love! 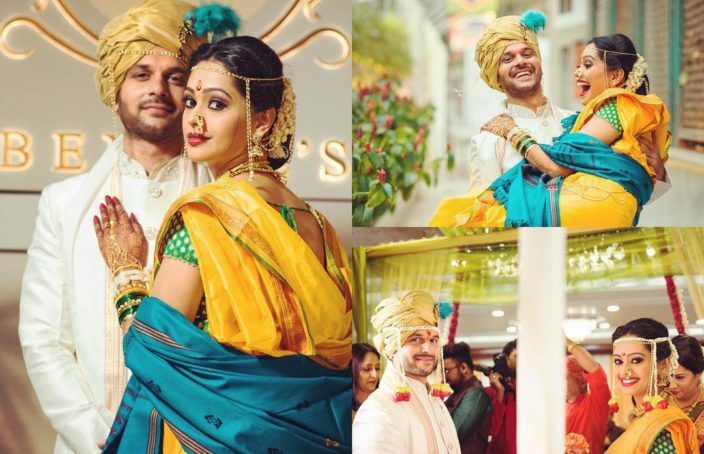 Mugdha Chaphekar and Ravish Desai fell in love while shooting for ‘Satrangi Sasural’. But unlike many other B Town couples, they took the plunge after being together for some time! 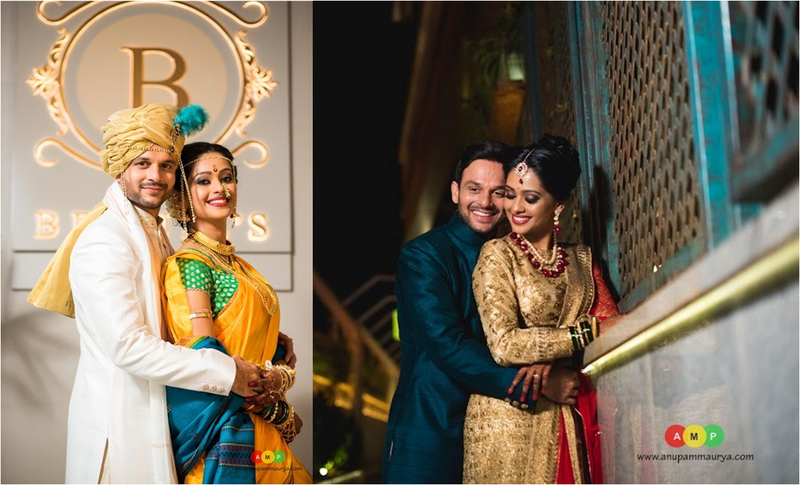 The Celebrity Wedding with a Marathi Touch! 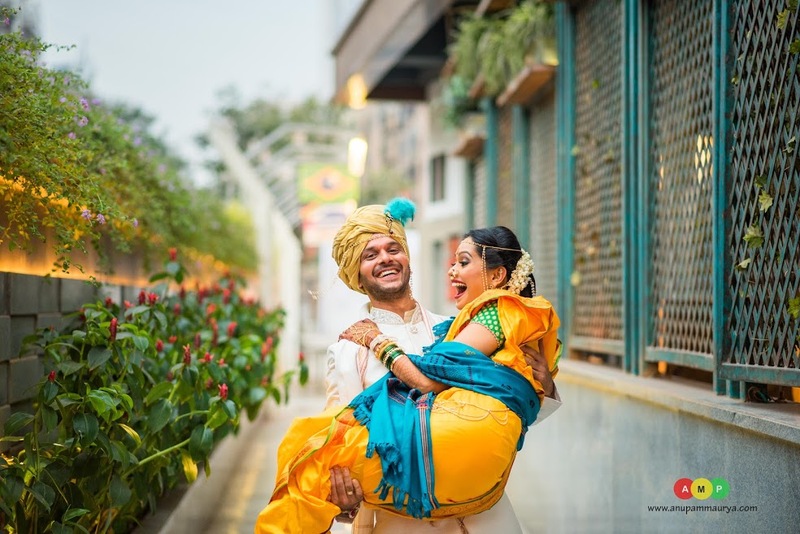 The lovely couple got married in a simple delightful Maharashtrain ceremony in Mumbai. 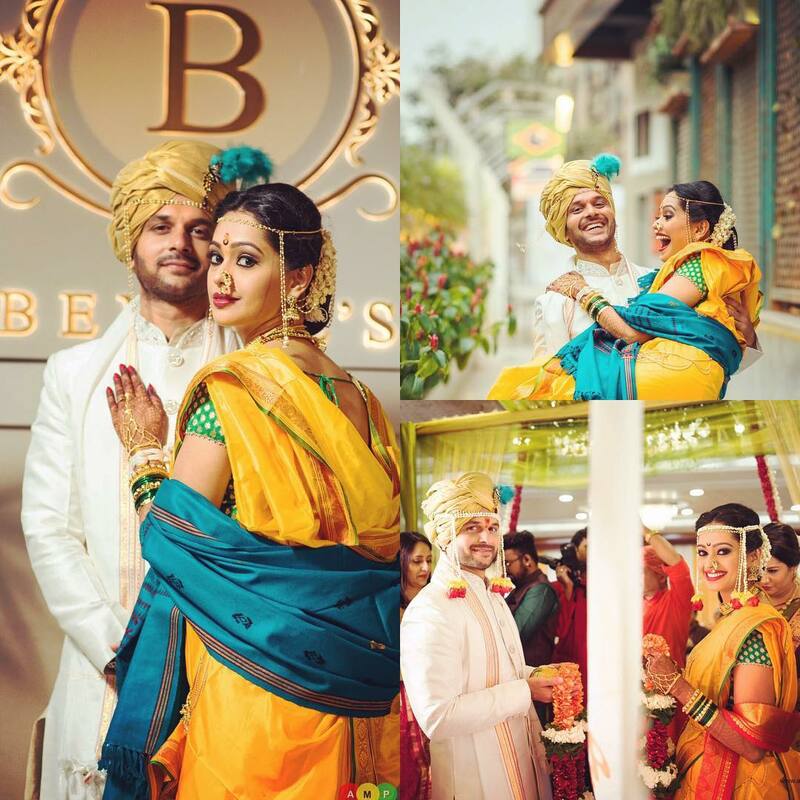 On the D Day, Mugdha wore a traditional yellow navari sari and looked stunning with a beautiful nath and simple hairdo. 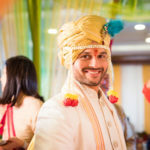 Ravish donned a cream Jodhpuri style sherwani. 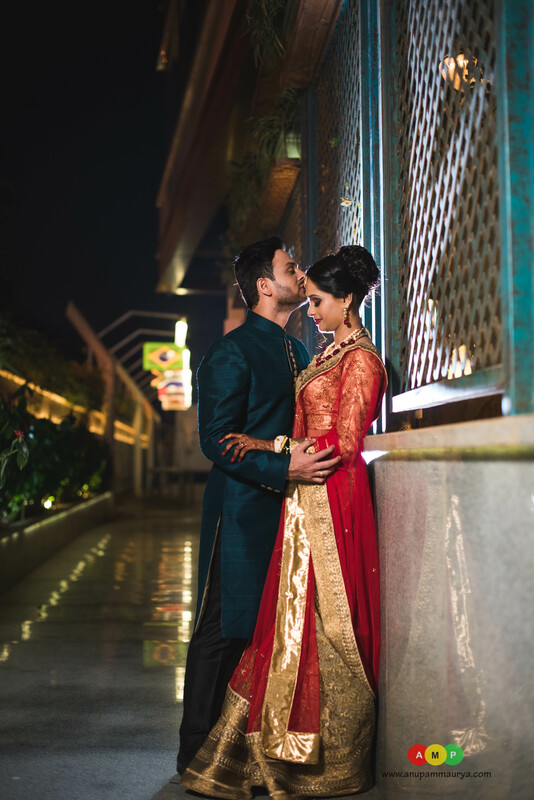 The couple looked gorgeous together! 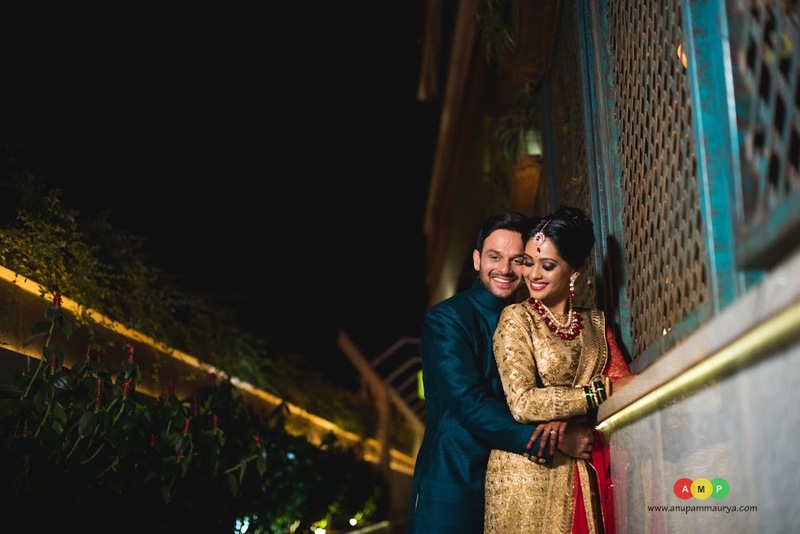 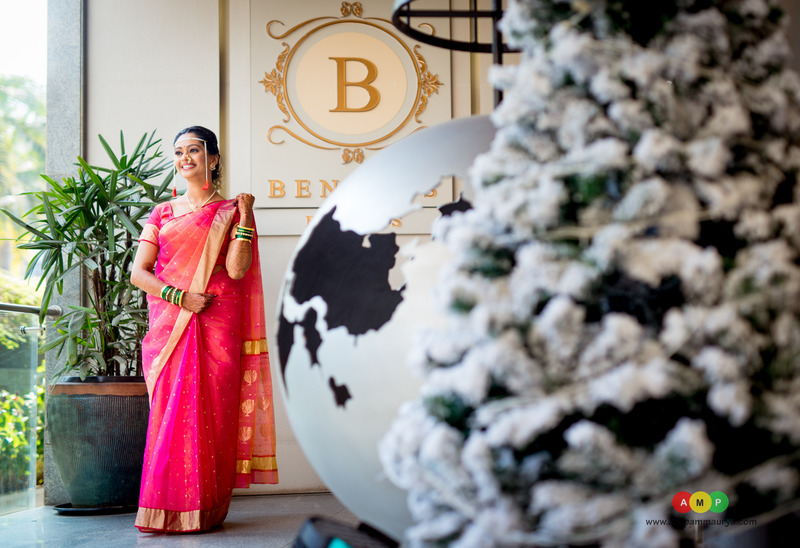 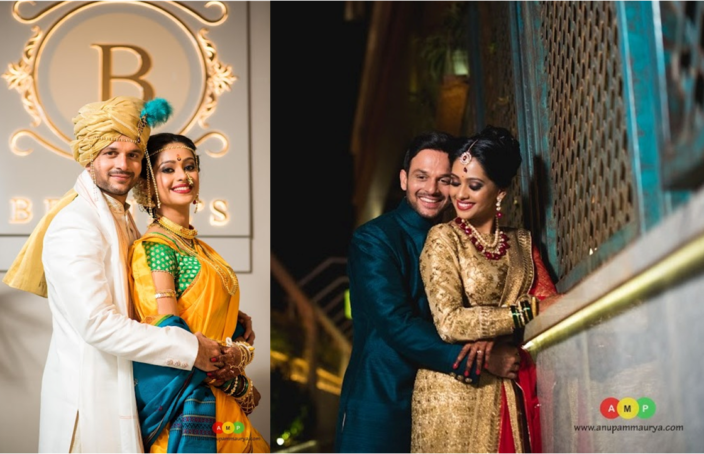 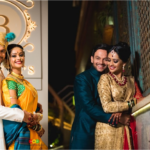 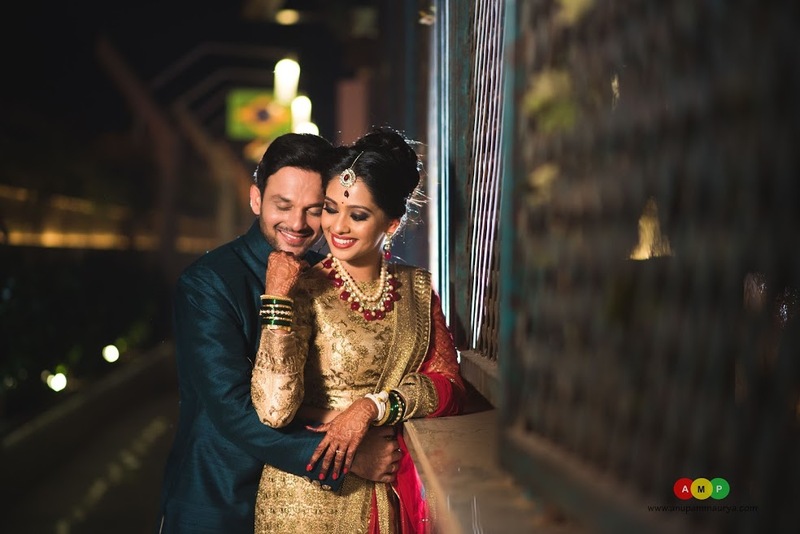 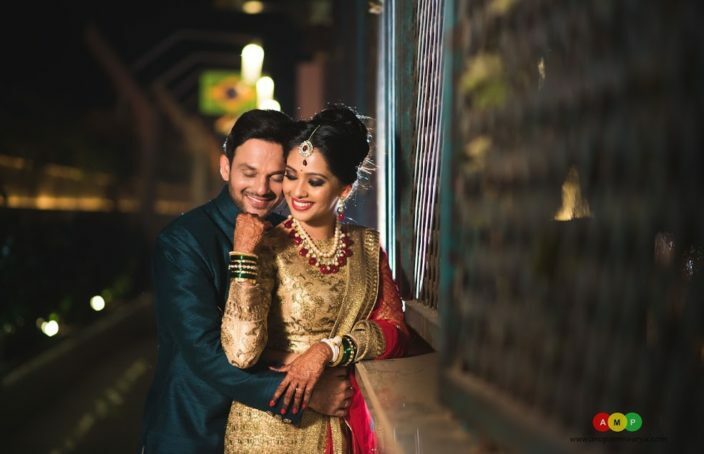 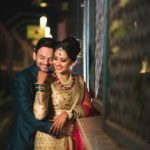 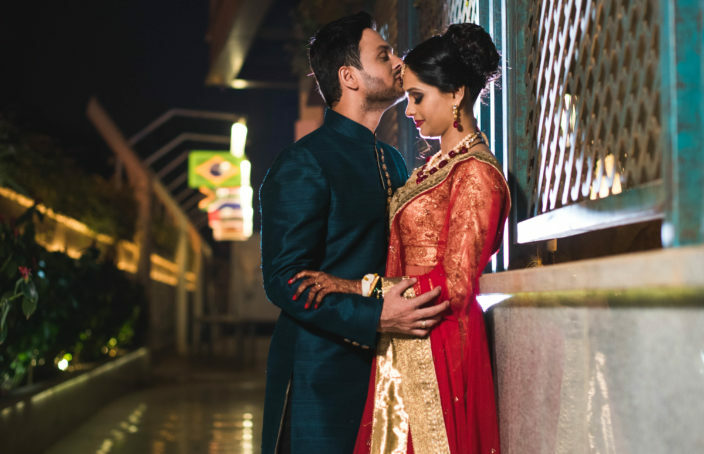 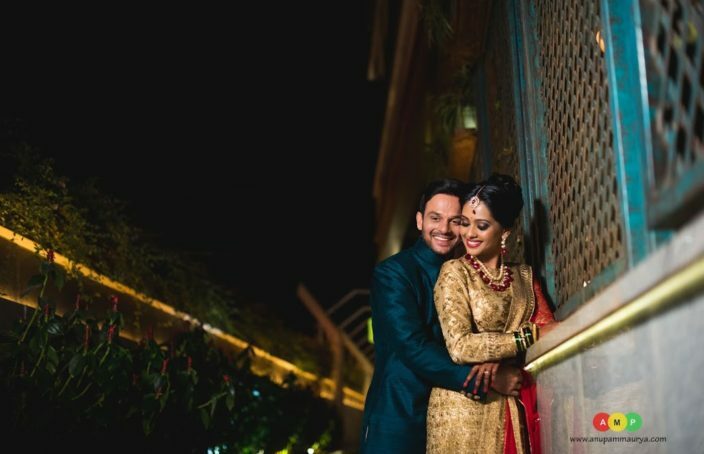 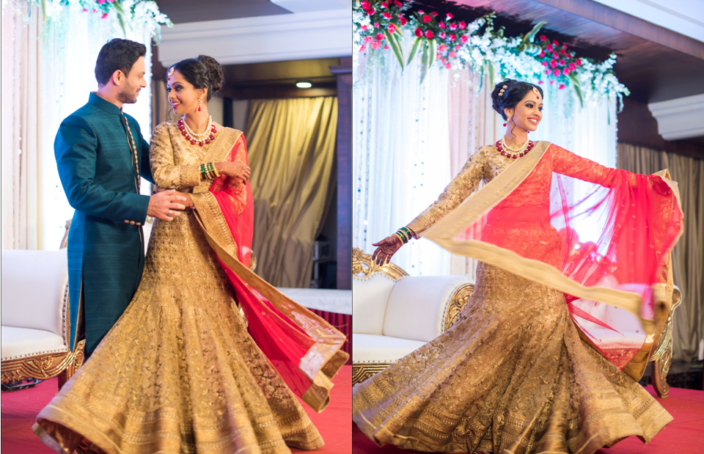 Their beautiful wedding was covered perfectly by Anupam Maurya Photography. 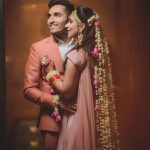 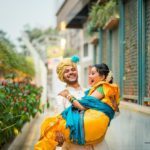 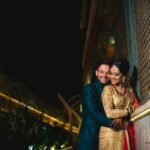 Wedding Inspiration – Tamanna Weds Jaspreet in The Magical Himachal!